We help you optimize the career you have or to manifest the career you want to have. Our approach helps remove the barriers to your successful progression in the work context. These ‘challenges’ may concern the next job you want or about the development of skill sets and thinking needed to progress in your current job. ABOUT YOU – Do you hate your job or did you lose your job? Do you need to reinvent yourself? Do you need to line extend your brand? Are you simply bored with your job and want a new challenge? Do you want to do more with your life? Do you hate the business you are in perhaps because your skills are underappreciated either in the business or at your current employer? Are you looking for an environment that respects what you do, an organization that might appreciate the contribution you make or could potentially deliver? Do you want more money or responsibility or both? Then again, you might just want to re-evaluate your career path and what you currently do. You might want to start being more proactive in managing your career and so reduce your vulnerability to enforced changes. Proactively, you might be seeking to maximize opportunities wherever they may be, internal or external. Or perhaps, less strategically, you might just want to see what else is out there. 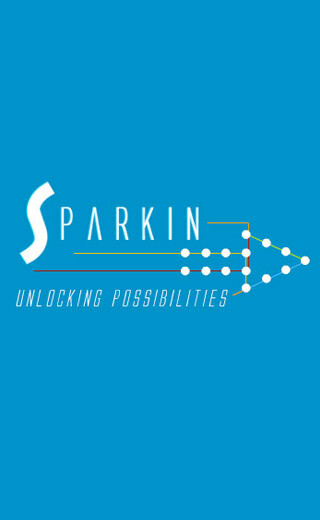 SPARKIN COACHING – We will ask the questions that you have not asked yourself or not answered fully, rationally without the inevitable emotional conflict. We will help you provide a focused brief for yourself, to provide recruiters and “HR” personnel. We will increase your marketability and provide you with career possibilities previously not considered by you. Making the most of your existing job requires a combination of constant ‘on-the-job’ learning, formal education and personal goal setting. – Optimizing your job requires proactive initiative on your part to gain the opportunity, exposure and responsibility needed for you to progress. We will ensure that you are doing everything you can to maximise all opportunity. By analysis of what you do well and not what your title says you do, we will clarify what your optimal career options are. Clarity of preferred jobs and environments will lead to pragmatic choices. - 'Your brief' - Active consideration of your options will make possible the development of 'your' brief. - Extensive questioning and directed 'self analysis' helps us to clarify the optimal course of action. By showing you that you 'are a brand' that needs to be managed. - By clarifying what makes your brand different and therefore most marketable. - By clarifiying the passion driving your brand. - We help make you more marketable by encouraging you to think of yourself as a brand. We do this by focusing you on those core attributes that you believe define you as well as those elements that you 'want' to define your career. Resume Effectiveness - How do I make my resume as effective as possible? - Telephone Effectiveness - I have one call to a potential employer/business connection, what approach should I take with this call? What should I seek to achieve from the call? 5. How direct can I/should I be? Social Networking - How should I use social networking most effectively to increase my chances of getting the job I want? - Media Selection - Which are the most effective media channels for me to get my ideal job? - Interviewing Technique - What do I really need to focus on to maximise my chances of getting the job? Our promise is to bring clarity to the questions you seek answers to and to provide the maximum possible counsel in the shortest period of time. We are eager to see you succeed. This makes you happy and enhances SPARKIN’s reputation too. Session 1 - Understanding your experience, skills, preferences and passions in terms of what you do well and what you enjoy doing and in what context. Session 2 - This session is about clarifying clear objectives, defining a personal mission statement. Doing what you do best is important and doing it in the environment in which you are most comfortable is key, but without clear purpose your progression will be stymied. Focus is on understanding your ideals and objectives, before talking about potential direction or possibility. Focus is on what you excel at and are passionate about, and on clarifying this or revealing it to you. In order to optimally understand what might be possible for you, we utilize facets of a range of disciplines and tools which include amongst others: brand planning, business development, life coaching and organizational psychology.